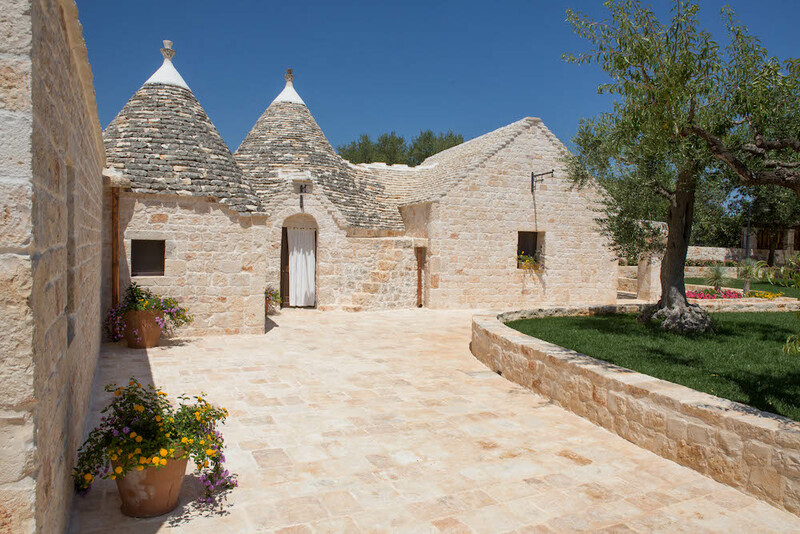 In the enchanting Itria Valley – right in the heart of Puglia – “Trulli Oasi Fiorita” is ready to welcome you and give you the chance to live one of the most amazing experiences to do during a holiday in Puglia: staying in a trullo. Those who love Puglia know it well: there is nothing more exciting and suggestive than sleeping and living a in a typical Apulian trullo – even if only for the short time of a holiday. In order to offer its guests the genuine experience of a relaxing holiday in traditional trulli, “Trulli Oasi Fiorita” proposes 2 different options of holiday houses, both located in the green landscape of Itria Valley, a few miles from Alberobello, the Caves of Castellana and the stunning crystal clear sea of Polignano and Monopoli. 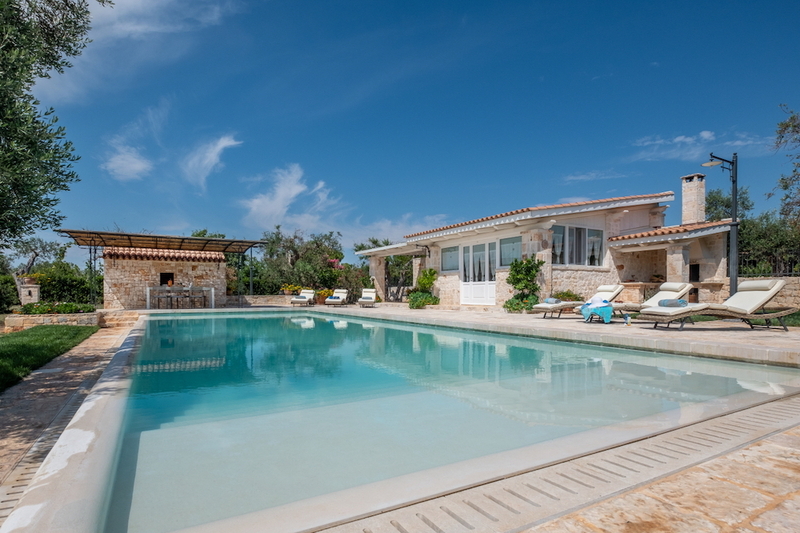 L’Oasi: a complex of four trulli for rent with swimming pool. L’Antica Dimora: an elegant and exclusive luxury villa with private swimming pool surrounded by a beautiful olive tree grove. 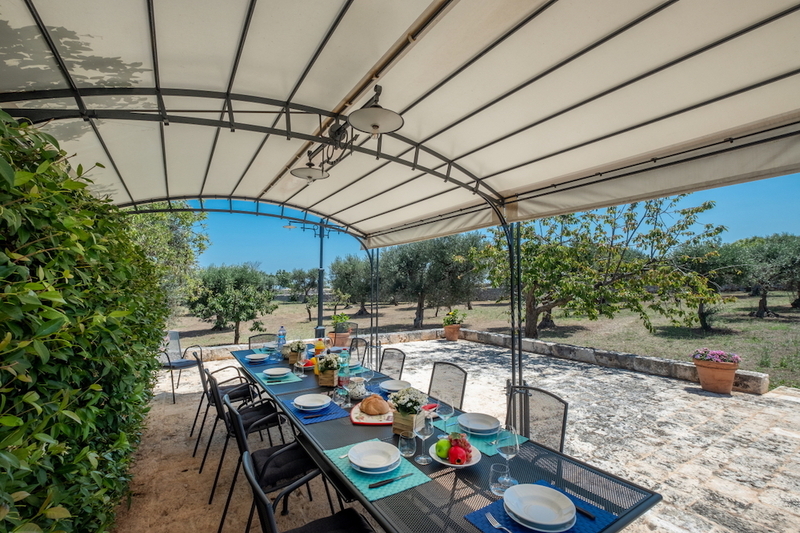 Both properties have been designed and furnished with care and are equipped with every comfort so that guests can enjoy extraordinary and relaxing Apulian holidays in trulli, in perfect harmony with nature! 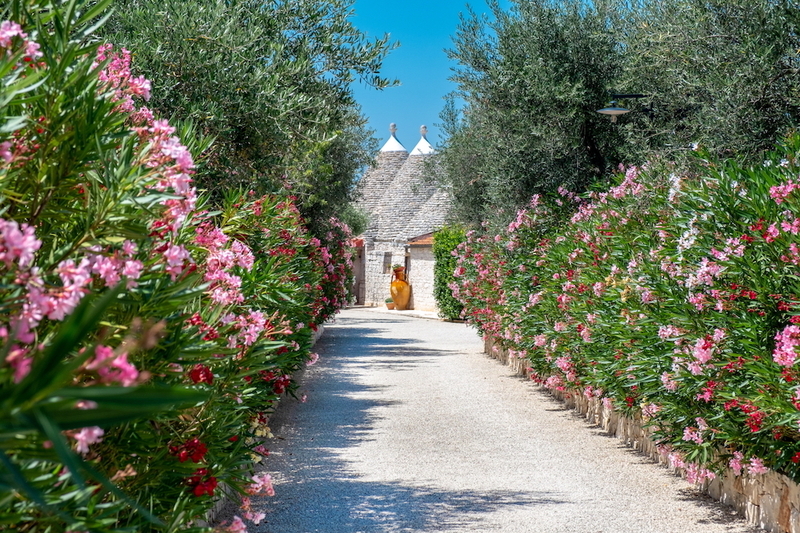 Do not miss the chance to be cuddled by the scents and sounds of Apulian countryside and live the amazing experience of living in a trullo with “Trulli Oasi Fiorita”. 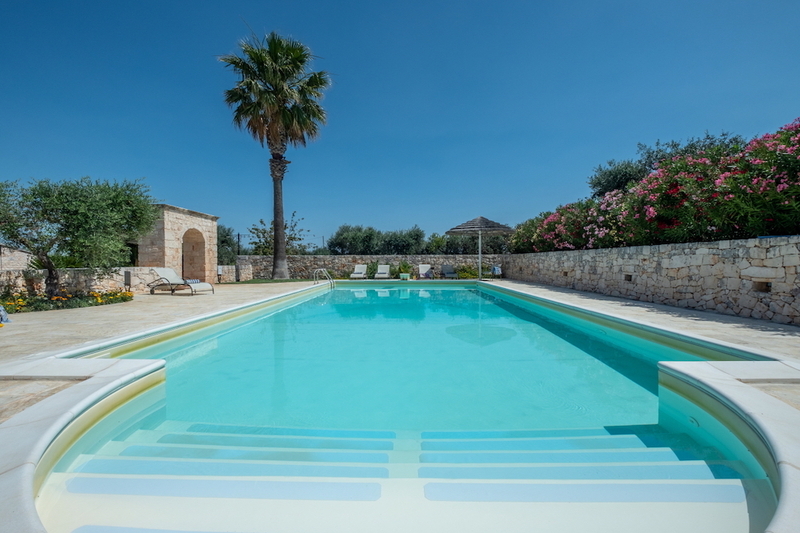 If you wish to spend unforgettable and relaxing holidays in trulli houses, come and stay in one of our trulli houses for rent with pool located in the heart of Apulian countryside. Trulli Oasi Fiorita offers its guests 4 holiday houses for rent in Puglia in old and refined Apulian trulli and an elegant and sophisticated villa with private pool. Authorization to the collection and processing of personal data, pertaining to Article 13 of Italian Legislative Decree no. 196 of 30 June 2003. The personal data acquired through this form will be processed using electronic and non-electronic tools. The data collected will only be used by the authorised personnel in charge of their processing (people working in commercial, administration and secretary offices). The holder of data processing is “TRULLI OASI FIORITA” di Dirignani Gianfranco - Via Cava delle More, 2 35043 Monselice (PD). We remind you that you are entitled to the rights referred to in art. 7 of Italian Legislative Decree no. 196 of 30 June 2003. In particular you have the right to access your data and obtain their correction, up-date and cancellation if incomplete, incorrect or collected in violation of the law. You have also the right to oppose, for legitimate reasons, the handling of personal data by contacting the holder of data processing at: info@trullioasifiorita.com.